Do it! commit to it, no matter what! Truly loving another imperfect person is not merely a romantic feeling, but a daily decision. But what are the keys to consistently giving and receiving love? How are love and romance best experienced and expressed in the midst of life’s everchanging pressures and emotions? 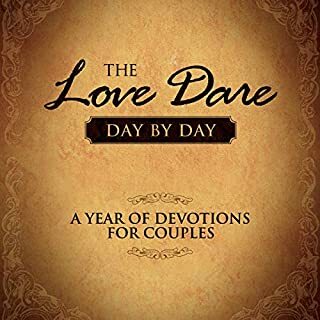 The Love Dare Day by Day is a one-year devotional designed to challenge husbands and wives to understand and practice unconditional love. While parents long to better influence and express love to their children, they often have no clear plan of action. As a result, daily hopes turn into years of missed opportunities. The Love Dare for Parents helps busy moms and dads more fully cherish, enjoy, and impact each of their children during each season of their lives. 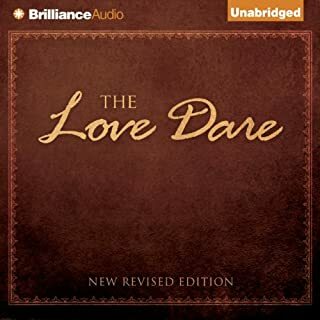 From the writers of the original Love Dare (over five million copies sold), this new 40-day journey will help you to daily demonstrate love to your sons and daughters and keep your relationships respectful and close...long-term. Jay Austin did what it took to get ahead and make the quick sell at work. Problem was - the more successful he was, the more he traded what really mattered. His integrity. His relationship with his wife. His time with his son. He was chasing things that had no eternal significance. It wasn't until God slowly unraveled everything that he saw how empty his life had become. Now it will take a courageous heart and a saving grace for Jay to finally turn his drive into a desire for a more authentic life with God as well as with his wife and son. Loved the movie, love the book! 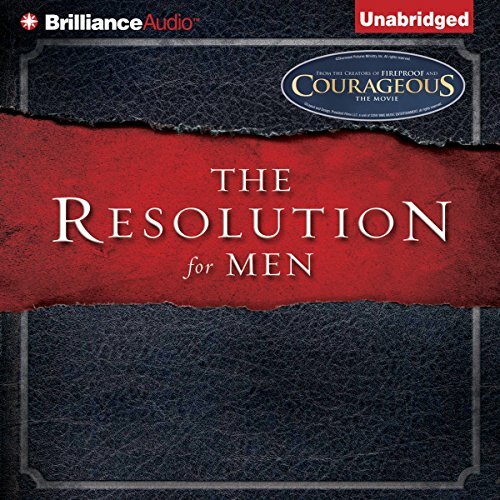 From the New York Times best-selling authors of The Love Dare comes a strong resolution of faith, family, and fatherhood that sets men on a course toward long-term success — the kind that breaks the chains of your past, earns the loving trust of your wife, wins the hearts of your children, and prepares a legacy beyond what your father could leave for you. With a clear resolution, you’ll be able to see exactly where you’re going. Straight ahead into a life marked by renewed faithfulness. 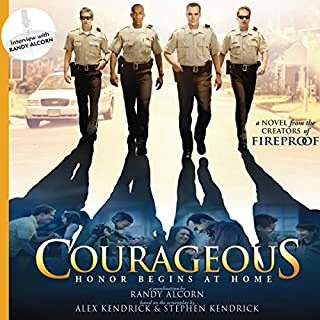 ©2011 Stephen Kendrick, Alex Kendrick (P)2011 Brilliance Audio, Inc.
What other book might you compare The Resolution for Men to and why? The Cost of Discipleship. They both are unashamed and up front in their call for men to be men and follow after Christ as opposed to simply talking the talk. Many verses from the Bible to back every point. Also has challenges for daily living and memory verses. Extremely useful for new Christians and maybe more so for older Christians. The truth is hard to take sometimes but in the end it will bring true faith to light! I got this book and thought it would help a little. It has gelp me transform my thinking forever. Being a man of resolution is the most attractive thing in the world. what a book! 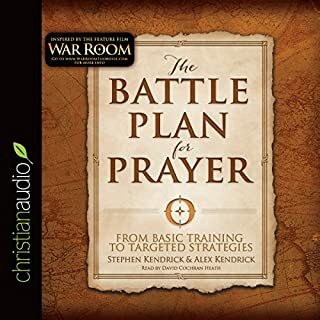 this is a masterpiece, every man that wants to be a Godly man that is discipline, excellent father, husband, friend, employee, coworker, neighbor and christian must read and practice this book. God bless the authors of this book that were obedient to God in writing such an excellent book. 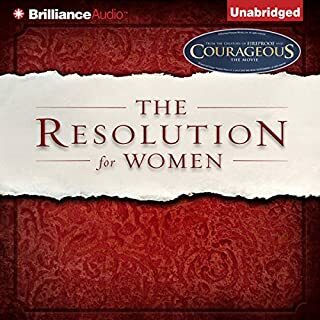 Would you listen to The Resolution for Men again? Why? Yes! This book helps to reinforce the biblical principles set forth. What I liked best was the biblical tried and true foundation upon which it rest. My favorites scene was the picture of a husband truly loving his wife. No. A small serving of this filling meal on a daily basis is just right. There is much to digest. There is much strength to be gained. A complete punch to the gut that I needed. I am a divorced father of one 6 year old boy. I did everything this book said not to do and now I am living with the consequences. I failed my wife, our child together, and my two step children by trying to hold our family together my way as opposed to the way God intended. Even if you feel your life and marriage are both on the right track, I highly recommend this book for all men. Even if you have never married, never plan to marry, or if you do plan to marry and or have children this book is a must read. Even after completing it, I will go through this book again for constant reminders and references. I will do what I learned for my family and for the glory of God. All young men need to listen to this! Gems Galore! Not just for Christians, but full of useful insight and practical ways a boy can change his mind set and actions to become a man and within it, be equipped for the responsibilities of life. Can be very direct, but for a message to sink in, best not to beat are nd the bush. Excellent purchase, will be listening to again now!